Harvey G. Allebach's modest life, interrupted often by ill health, does not do justice to his ministry as gifted student, teacher, preacher, poet, pastor, editor, and naturalist. He was born 18 February 1869 and died 3 December 1921. Harvey was born to Jacob R. and Elizabeth Gottshall Allebach, in Lower Salford Township, Montgomery County, Pennsylvania. When he was two, his mother died from smallpox, and for several years he lived with his maternal grandparents, Mose and Mary Gottshall. When his father married Sarah Markley in 1873, he went to their new home in Green Lane, Pennsylvania, where he and his half-sister, Ann Jemima, grew up. He was educated at Ursinus College and graduated with honors from the University of Pennsylvania. He was a teacher and principal at several high schools in his native county and taught for one year at the East Orange, New Jersey Collegiate Institute for women, a school conducted by his half-sister. Early in life he felt called into the ministry and was licensed, and later ordained, by his uncle, William S. Gottshall. He served in his home congregation at Schwenksville and frequently preached at the First Mennonite Church, Philadelphia, where he was active in Christian Endeavor during his university days. He was pastor of Mennonite churches at Eicher and Wayland, Iowa, for several years beginning in 1894; taught at the Araphaho Mission School, Darlington, Oklahoma Territory, for one year; and was pastor of the Pottstown and Boyertown, Pennsylvania, Mennonite congregations (GCM). He edited The Mennonite at Berne, Indiana, 1902-1905. From 1914 to 1921, he was pastor of the East and West Swamp congregation, as well as the Bethany and Flatland congregations in Pennsylvania. After a long struggle with tuberculosis, he succumbed to pneumonia His body was buried in the Mennonite cemetery high on Mine Hill at Schwenksville. Allebach, H. G. Echoes from Parnassus. Berne IN, 1902. Ruth, John L. Maintaining the Right Fellowship. Scottdale, PA: Herald Press, 1984: 411, 412, 423, 424, 439. Swartz, Freeman H. "Contemporaries in 1921." Messenger, Eastern District Conference. 7, no. 4 (Summer 1954). Fretz, J. Herbert. "Allebach, Harvey G. (1869-1921)." Global Anabaptist Mennonite Encyclopedia Online. 1990. Web. 18 Apr 2019. http://gameo.org/index.php?title=Allebach,_Harvey_G._(1869-1921)&oldid=132571. Fretz, J. Herbert. (1990). 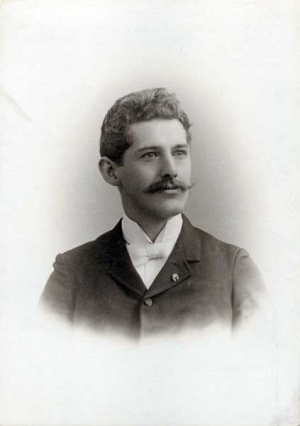 Allebach, Harvey G. (1869-1921). Global Anabaptist Mennonite Encyclopedia Online. Retrieved 18 April 2019, from http://gameo.org/index.php?title=Allebach,_Harvey_G._(1869-1921)&oldid=132571. Adapted by permission of Herald Press, Harrisonburg, Virginia, from Mennonite Encyclopedia, Vol. 5, pp. 15-16. All rights reserved. This page was last modified on 11 August 2015, at 12:46.